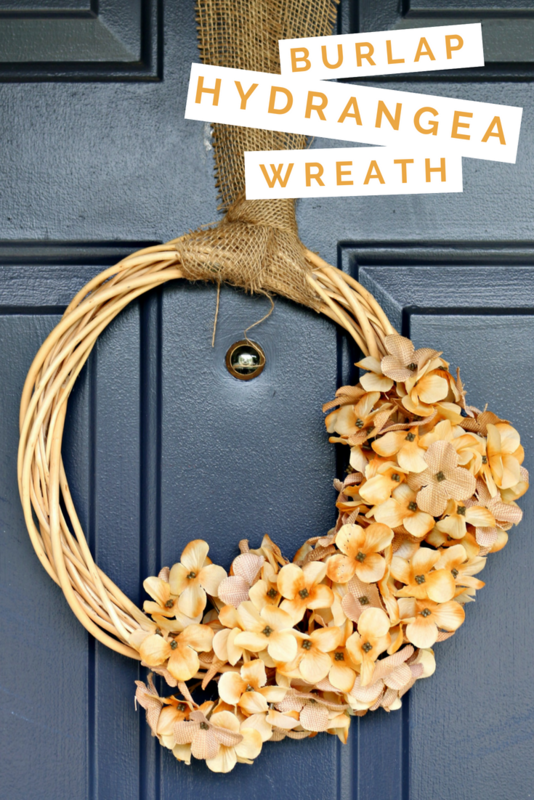 The neutral tones and rustic textures of this burlap hydrangea wreath make this a perfect front door decoration when you are transitioning from summer to fall. And, best of all, you can make it with dollar store supplies in about 15 minutes! 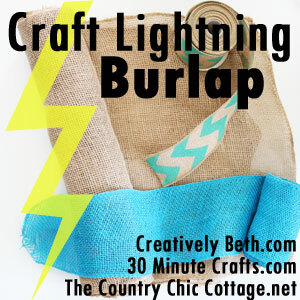 I am joining up with fellow creative bloggers to bring you dozens of lightning-fast burlap crafts this week. 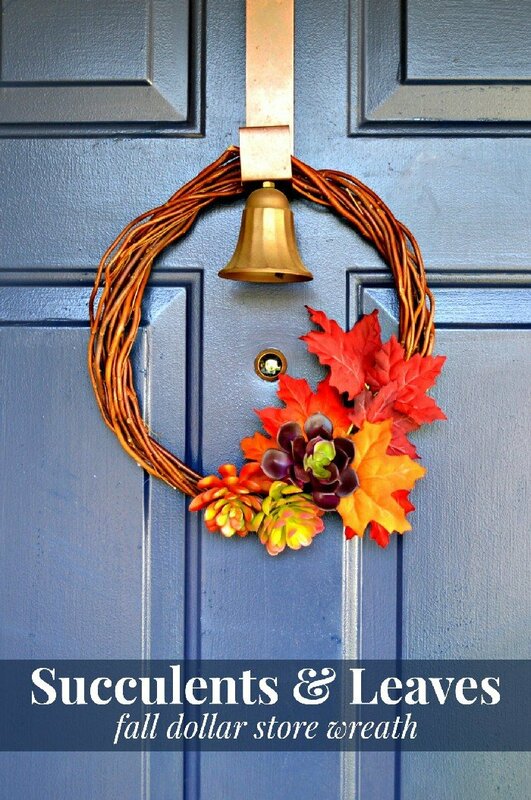 Make sure to visit Creatively Beth, 30 Minute Crafts, and The Country Chic Cottage every day this week for more fun tutorials. 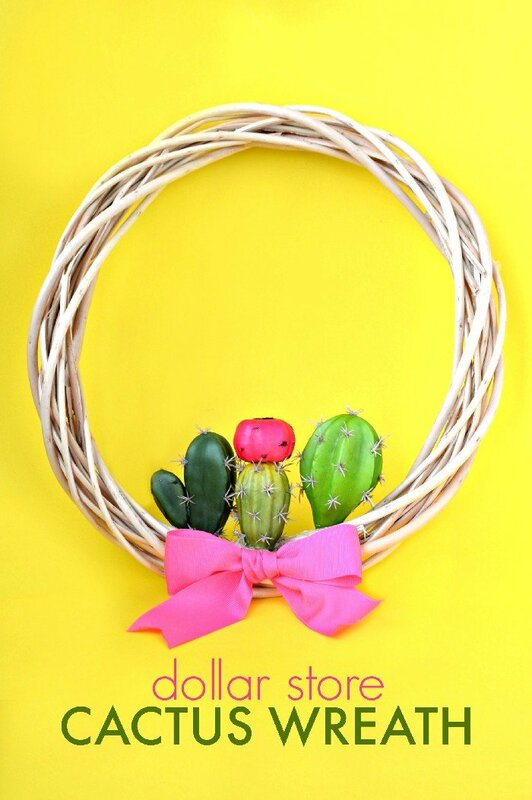 Watch this short video to see how easy it is to put this pretty wreath together. I put out two new videos on my YouTube channel each week. Check it out and subscribe if you like what you see! 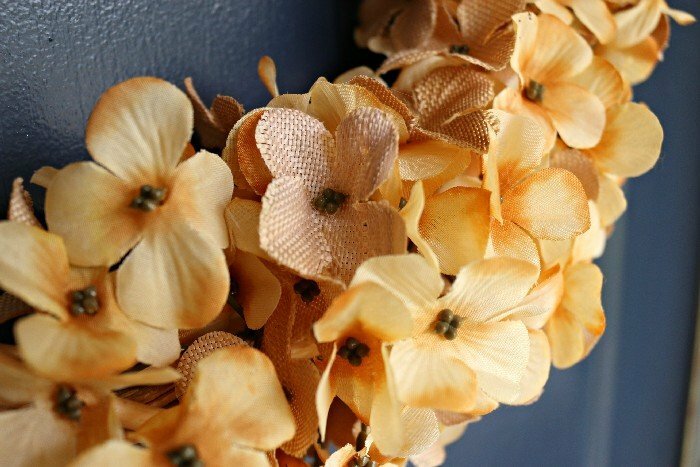 I found these pretty burlap accented hydrangeas at my local Dollar Tree. 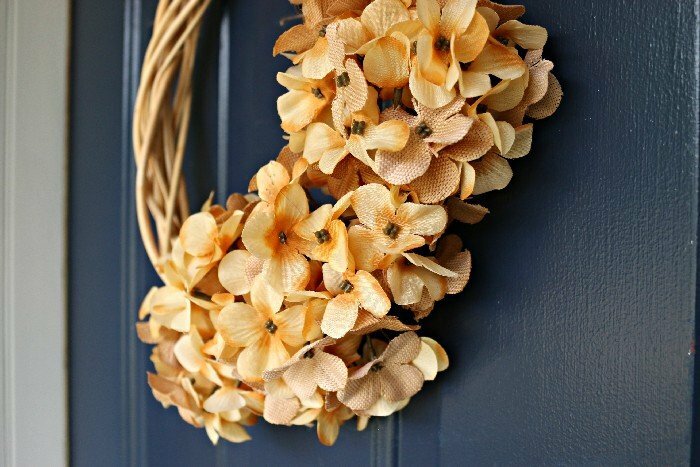 You could also use regular faux hydrangeas or dried hydrangeas for this project, if you have easier access to those. I love creating quick and easy dollar store projects like this. I have tons of dollar store crafts on my blog, so head HERE for more inexpensive craft projects. Hydrangeas are the best! Thanks for joining!